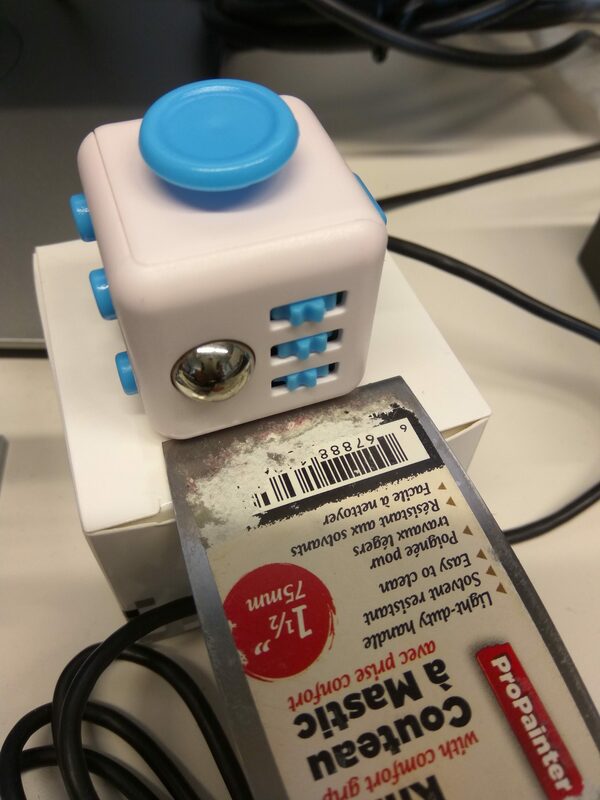 Had randomly found myself at a dollarama today and happen to find they are now selling fidget cubes. Was a largely funded kickstarter (https://www.kickstarter.com/projects/an ... l-desk-toy) made millions as well as a bunch of china knockoffs. Obviously quality differs with the original but for what it does, the price makes more sense. 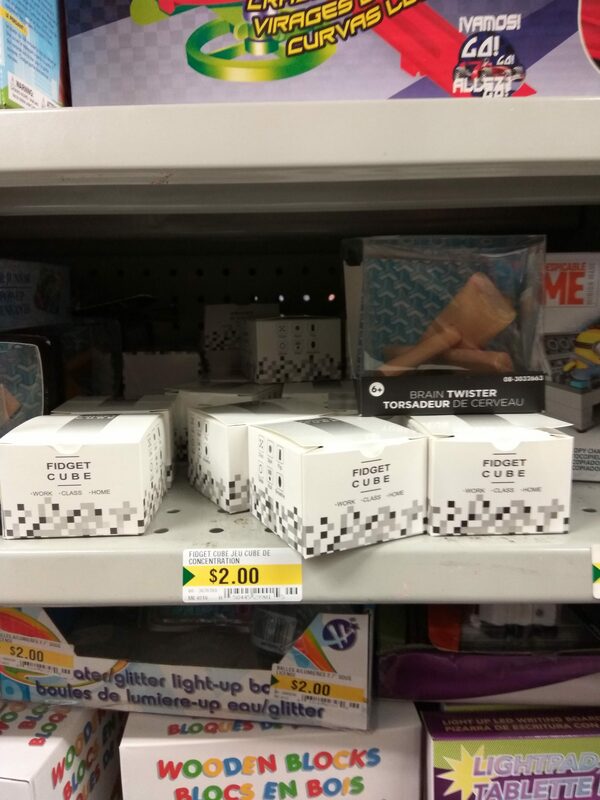 Colors are not labeled on the boxes but from what i saw they were. these are the big ones? Judging from that micro usb cable below it, it's not the super tiny one. Do you mean this large? Last edited by yuprules on Oct 10th, 2017 11:00 am, edited 2 times in total. They are the large ones. Last edited by jiggajayd on Oct 10th, 2017 11:24 am, edited 1 time in total. Didn't have a ruler on me but here's a putty knife I used to scrap 3d prints off a build plate. Says 1.5inches or 3.81cm as a comparison. So the cubes the large one that's 3.3cm*3.3cm and not the 2.2cm*2.2cm. I thought it was for stress relief or minor mental issues. ADHD, etc. I bought one like this at Factory Direct for my son and it broke apart so easily. I probably had the cheap knockoff but it looked like that one. 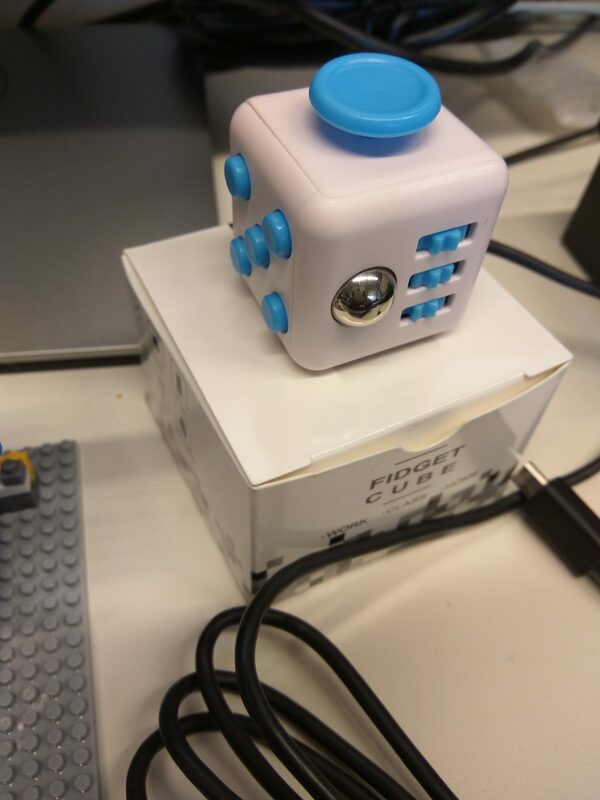 The 5 buttons all make a click sound, three 3spinning gears, and switch have a sound when they are moved, everything else is pretty much silent. Went looking for this at the Heartland location. They didn't have it so its a YMMV. I dare say pretty much everything half decent on Dollarama is YMMY. I wonder if distribution isn't same for all stores or if this things get sold out quickly. I even heard/read fairly often that some items, Dollarama staff won't even put on shelves and buy themselves. Very good price. I noted, in case I can find one in the store. Thanks.